Buckhead Atlanta (formerly The Streets of Buckhead) is a new retail district in Atlanta that will have a variety of luxury shops. The project was originally envisioned to be "the rodeo drive of Atlanta." Since being passed to new owners, the "luxury factor" has been toned down a bit in hopes of giving the development a wider appeal to Atlanta's diverse residents and blending it with the surrounding areas. The new vision for Buckhead Atlanta includes a walkable layout to encourage pedestrian traffic and restaurants helmed by local chefs. The "urban village" will cover eight acres and six blocks. 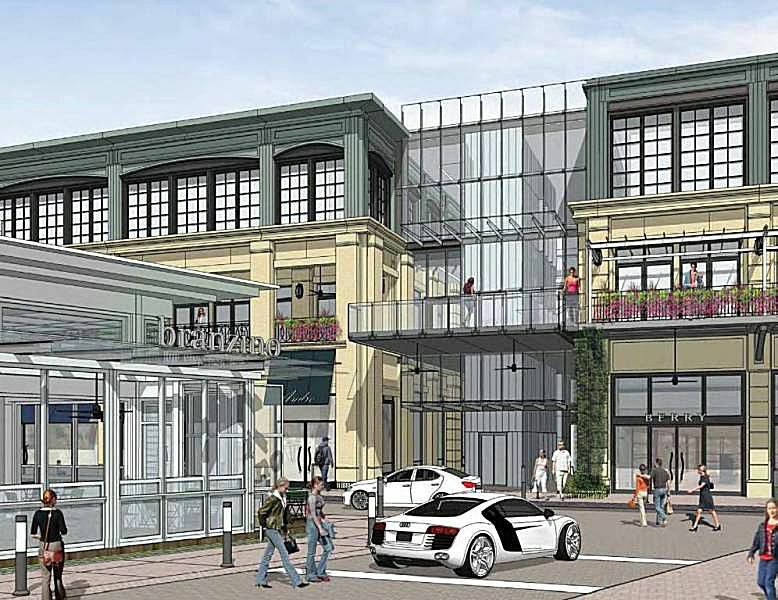 In addition to retail, the mixed-use development will also include apartments and office space. Currently the only confirmed tenant for the space is Hermes, a lingering reminder of the grand high end vision original developer Ben Carter had for the district. The development is slated to open in Fall 2013. Progress on Buckhead Atlanta has been slow. From delays in constructions to a new name (the project started as The Streets of Buckhead), the development has been the target of cynics who say it may never get finished. The project began in 2008. News articles from the time provide a look at the original scope of the Streets of Buckhead project, which has supposedly secured contracts with Van Cleef & Arpels, Brunello Cucinelli, Bonpoint, Arthur, Billy Martin’s, and the gym Equinox. Unfortunately, 2008 brought with it a nationwide economic downturn, and the timing couldn't have been worse for a luxury development. At this time, none of these tenants are signed on to the Buckhead Atlanta project. Currently the are consists of mostly empty lots where former structures were razed. The project is currently under the management of California-based OliverMcMillan. Construction is expected to begin again in early 2012. Buckhead is located on the north side of Atlanta, and has long had a reputation as a hip area for shopping, nightlife and general high end living. The area is a major business district, with it's own distinct skyline. After some violent incidents at Buckhead clubs, the city made an effort to clean up the area. Most of the popular, rowdy clubs in the nightlife district closed. In their place, Buckhead Atlanta is being built. Buckhead is well positioned for the shopper on a spree. The north Atlanta neighborhood is home to two of the area's best shopping malls - Lenox Square and Phipps Plaza. Phipps Plaza is currently Atlanta's most high end mall, with boutique locations of luxury shops like Valentino, Bottega Veneta, Jimmy Choo and Saks Fifth Avenue. Lenox Mall has a mix of high end shops and mall favorites, including anchor stores Bloomingdales and Neiman Marcus. Just south of Buckhead is Atlantic Station, an outdoor mall full of the usual suspects like DSW, H&M, Old Navy and more.